Greetings friends! 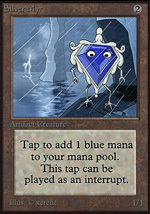 Another Preview Booster has appeared on magicthegathering.com, and as usual I have the real scoop. I have once again been leaked a second preview booster, and wanted you to be the first to see its secrets.